This year’s General Assembly was in Kansas City, MO. The next one is June 19 – 23, 2019 in Spokane, WA. The following are the reflections of Treva Burger, Julie Rigano, Eric Foster and Crystal Penn. Four of the 7 from USG who attended GA this year … read more. The Welcoming (Membership) team in coordination with the Welcoming Congregation (promoting inclusivity of all *LGBTQIA identities) Refresher Task Force, will begin offering and encouraging putting pronouns on name tags. There is a new name tag request form at the Welcome Table and we will also have … read more. In collaboration with 100s of UU congregations around the country, join us Sunday October 22. Unitarian Universalist Aisha Ansano poignantly wrote, “White people tend to be visitors to the struggle for racial justice, ones that aren’t forced to be there but can choose to come in … read more. Attending General Assembly in New Orleans for the first time was a powerful experience for me, full of inspiration, exhortation, encouragement, … read more. USG had 18 youth and adults attend the Unitarian Universalist Association General Assembly in New Orleans in June 2017. Here are resources they collected. 2017’s GA voted on the 8th principle as a resolution to go into committee form. The 8th principle was written by and … read more. Why Do The Words Matter? This spring was challenging at USG and in many UU congregations all over the country. The words White Supremacy hit many of us hard. We have heard that many people felt they were being called white supremacists and that we were insisting that they use the words white … read more. Ideally all white people spend some of their time examining their privilege and reflecting on ways to give it up. This is a very deep personal process that is essential to becoming a truly equal society. With the goal of helping the white people of … read more. UU-101 is an introduction to Unitarian Universalism. It is held on the third Sunday of each month in the Daskam Room from 12-1:15pm, and childcare is provided. Attendees will receive a free copy of The Unitarian Universalist Pocket Guide. This class is a “Step on the … read more. 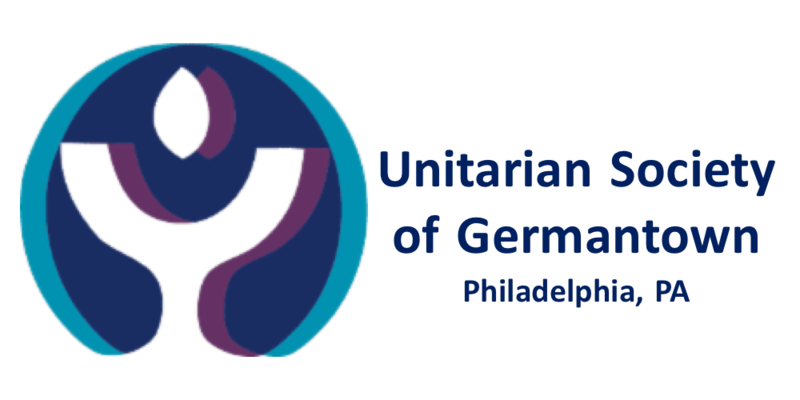 The Greater Philly UU Cluster is launching a Faithify campaign to raise money for ads promoting UU churches in SEPTA stations. It runs through December 29, please click the words Faithify campaign above for more information and donate if you can!